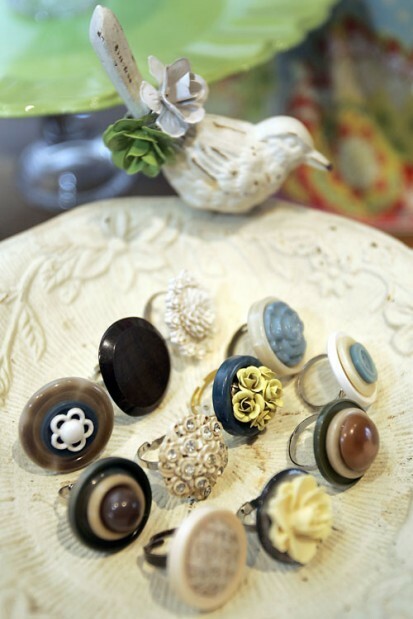 April Kennedy...My Life + My Style: Funky Vintage Kitchen's Article in Local Newspaper! Funky Vintage Kitchen's Article in Local Newspaper! I almost forgot to post the link to the Etsy article that was in our local newspaper this past Sunday. It made the front page! So exciting. Click here to read the entire article. My girlfriend, Katherine, is up first and I am in the second part of the article. Jennifer, the writer, did a great job. Sunday was a fun day for our family! Yay! Congrats on being featured! I love the picture - soooo cute! So cute! 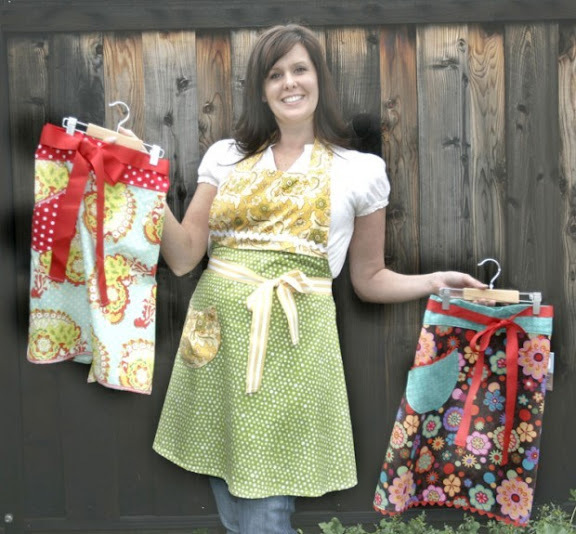 I love these aprons. My little one might need one! a Big Congrats....I bet it will bring great traffic....and hopefully a ton of sales! We are proud of you, yes we are proud of you! Oh...is that so High School! Congrats April! That's awesome!! You are so talented!